Sally R. Gaglini is the founder of the Gaglini Law Group LLC and an adjunct faculty member at Suffolk University Law School, where she teaches entertainment law. She has spent more than twenty-five years advising talented young artists and their families as well as companies working with young talent and promoting their artistry. She is also is an AV-rated lawyer who was recently honored as one of the “Top Women of Law” in 2014 by Massachusetts Lawyers Weekly. Gaglini’s specialized expertise began with her involvement with emerging boy bands as they established their music careers. She proposed and authored, with lawmakers, the inaugural child performer law in Massachusetts. 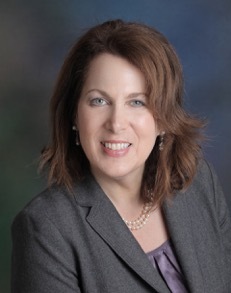 Drawing on her deep industry knowledge that includes experience with families as a courtroom advocate, court-appointed fiduciary, and guardian ad litem, Gaglini’s unique credentials blend the entertainment and advertising industries with family and probate law. Gaglini resides in the Greater Boston area with her husband and beloved golden retriever.She raised two children who are artistically talented with her daughter’s music distributed by iTunes.